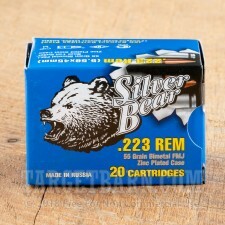 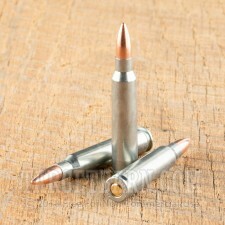 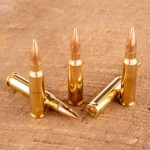 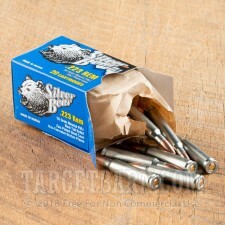 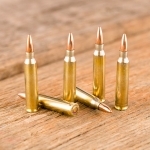 This .223 Remington ammunition from Barnaul's Silver Bear series is a dependable choice for the range. 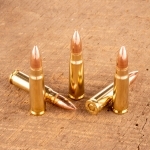 Though these rounds are not mil-spec, they will produce external ballistics comparable to those of M193 ball. 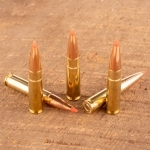 Each round in this box of 20 fires a 55 grain full metal jacket bullet at 3,130 feet per second, with some variation depending on barrel length. Silver Bear ammo is loaded at the Barnaul Machine Plant in Russia using non-corrosive Berdan primers and non-reloadable zinc-plated steel cases.